Background: Marcel Stive has a long career in coastal research. Supervised by Professor J.A. Battjes, he obtained a PhD by researching internal flow-field in breaking waves. 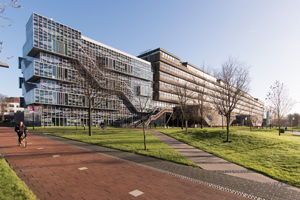 Since 2001 he has been a full-time professor in Coastal Engineering at TU Delft. Background: Rosh is Associate Professor of Coastal Engineering at TUDelft and UNESCO-IHE (since Jan 2008). Rosh obtained his B.Sc. 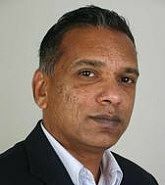 Eng (1st class Hons) in civil engineering from the University of Peradeniya, Sri Lanka in 1993 and his PhD in Coastal Engineering and Oceanography (Thesis topic: Dynamics of seasonally open tidal inlets) from the University of Western Australia. Since obtianing his PhD in 1998, he worked in both acedemic and government sectors in Australia until Dec 2007. His main research interests are climate change impacts on coasts and the development of modelling tools for on-the-ground coastal zone management. To date, Rosh has published over 100 scientific articles. Background: Sierd de Vries is a coastal engineer by education (MSc in Delft in 2007). He has obtained his PhD degree at Delft University in September 2013. His PhD work entitles 'The Physics of Blown Sand and Coastal Dunes' where he studied the growth of coastal dunes due to natural processes of wind. He is particularly interested in the dynamic morphological behavior of the coast as a result of sediment transport by wind, currents and waves. To study specific aspects of coastal behavior he combines the development of innovative monitoring techniques with state of the art modelling approaches. Background: Bas works as coastal engineer at the hydraulic research institute Deltares since his graduation from the TU Delft in 2009. He specialized in coastal morphodynamics and probabilistics. He worked on the development of the morphological model XBeach and the development of probabilistic computational methods for computation-intensive assessment models. Since the fall of 2012 he started working on the NEMO project as a PhD-student in the field of Aeolian transport, beach and dunes and intends to develop measurement techniques and probabilistic analysis techniques for this field of research.